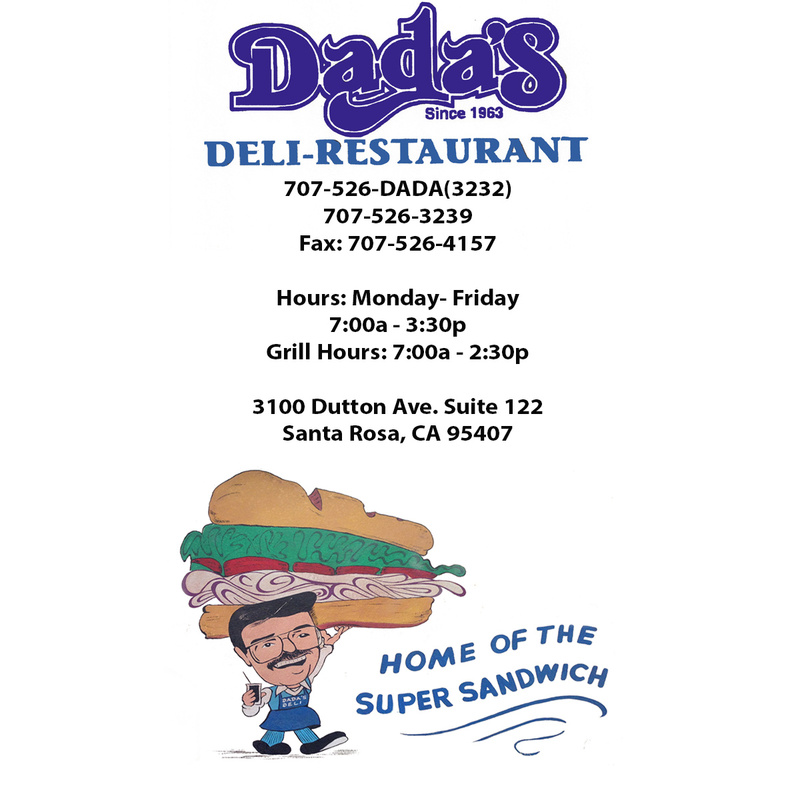 If you would like your order ready during our lunch rush, please call or fax it in before 11:30a. Scrambled eggs, Sausage, American cheese and Mild Salsa. with ham and cheese on English muffin. Scrambled eggs, ham and cheese. 1/4 lb. of meat, with mustard, mayo, tomatoes, lettuce and onion. Choice of bread rolls: sweet, sourdough, whole wheat or Dutch crunch. Sliced bread: white, sourdough, light rye or whole wheat. American, jack, cheddar, provolone, pepper jack or swiss. With avocado & jack cheese. With onions & jack cheese. Burger on rye with grilled onions & jack cheese. Add mushrooms, onions & jack cheese for $1.00. House Salad - Tossed bed of greens, tomatoes, eggs, three beans and croutons. Choice of Ranch, Blue Cheese, Thousand Island, Italian, low calorie Italian, or non-fat Raspberry Vinaigrette. Medium Green Salad with a Scoop of Egg Salad and 1/2 an Avocado. Tossed green, bowl of soup and buttered roll. 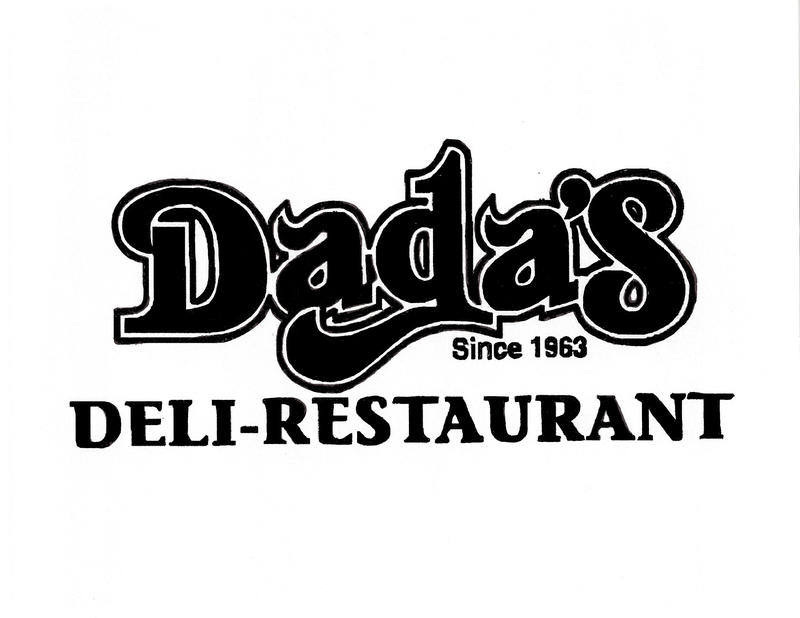 © Copyright 2015 Dada’s Deli-Restaurant. All Rights Reserved. Prices subject to change without notice.